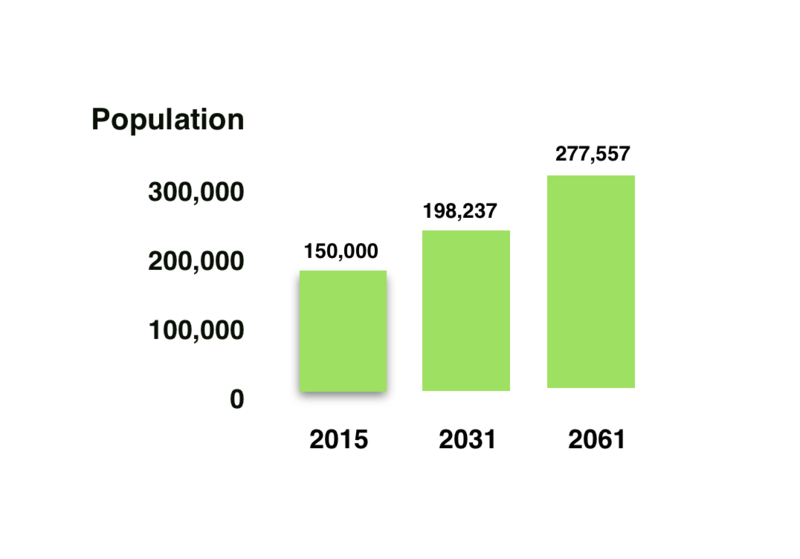 Hamilton is projected to grow from the current population level of about 150,000 to 198,237 by 2031 and 277,557 by 2061, according to a recent study by the Population Studies Centre at The University of Waikato. Hamilton is the fastest growing city after Auckland but property prices are a lot lower. The median house price in Auckland is $1,000,000 while the median house price in Hamilton is $511,000.